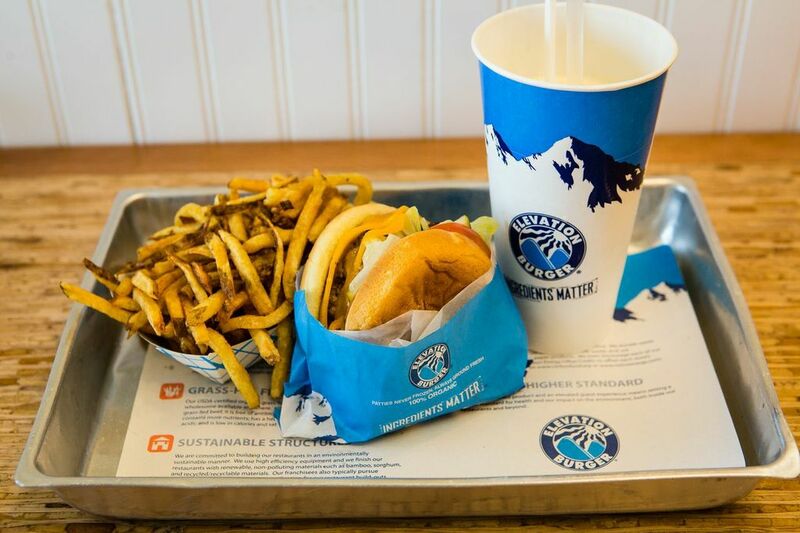 Elevation Burger was created in 2002 to stand out from other burger concepts in taste and sustainability. 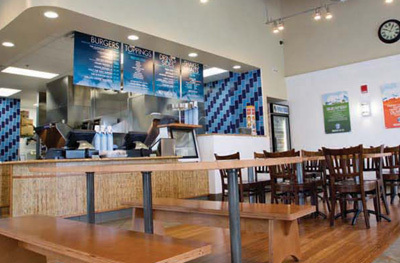 Their ingredients are fresh, sustainable, and local when practical. Nothing on the menu contains trans-fat, and each location grinds their beef on premises. 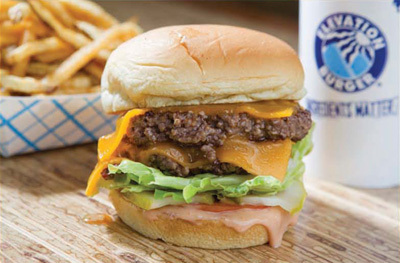 The menu consists of several uncommon burgers, toppings, drinks, sides, shakes and malts.